Normally, light passes through the crystal clear lens of the eye. A cataract is simply the clouding, or discoloring, of the lens. The cataract blocks the passage of light through the eye. Cataracts usually progress slowly and cause a gradual loss of sight. Most cataracts are a normal part of the aging process and will almost always develop if one lives long enough. Although it is uncommon, people under 40 may also develop cataracts. Cataracts cause a blurring or distortion of vision. Frequently, cataracts will cause a glare from lights as well as halos around lights. Some people complain of a “film” over their eyes and blink them frequently in an attempt to remove the film. A person wearing eye glasses may keep trying to clean the lenses believing they are dirty. If you have any of these symptoms, you may have a cataract. As premier cataract specialists in the Griffin area, call us today to get proper cataract treatment and diagnosis. How can a cataract be treated and when should surgery be performed? The only effective treatment of a cataract is surgical removal of the clouded lens. A cataract cannot be cleared by eye drops, medication taken by mouth, eye exercises, or laser treatment. If a cataract is the only problem with your vision, you have every reason to look forward to your restored vision. Modern cataract surgery is one of the most successful operations performed in the Unites States today. Cataract surgery is advised when the cataract begins to interfere with one’s normal activities. The development of a cataract is not, in itself, an indication that surgery is required. If you suspect that you have a cataract, a thorough evaluation should be performed. After several tests have been made, the doctor will discuss with you the need for cataract surgery. If it is decided the time is right for you to have a cataract surgery, the operation can be scheduled to be performed at your convenience. The decision to have the surgery is, of course, ultimately the patient’s decision. 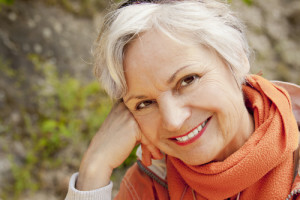 How can cataract surgery improve my vision? Over one million cataract operations are performed in our country each year. Advanced techniques have resulted in restored vision in nearly 99% of routine cases. Many tests will be performed to determine not only if you have cataracts, but also if we can improve your vision, and how much we will be able to improve your vision. As with any surgery, the potential for complications exists. Fortunately, cataract and lens implant surgery is one of the most common and successful procedures performed today. Using our modern methods, poor vision from cataracts can be improved in nearly 99% of patients. With cataract surgery, complications such as hemorrhage, infection, etc. exist, but are rare, and can usually be corrected. Where do I have my cataract surgery? The Takle Eye Group & Surgeons opened in 1973. The Center is located adjacent to the Spalding Regional Hospital in Griffin, GA and offers patients the most modern eye surgery facility with the latest in no-stitch, no injection, small incision technique. In choosing a facility to have your operation pay close attention to the detail. Many surgical centers because of their high overhead have to”get you in and get you out”. Many times you see the surgeon after the operation and are left to followup with someone who didn’t do the surgery. Our Griffin eye surgeons actually see you after the surgery for the full 90 days your insurance covers you, not an ancillary staff member. We at the Takle Eye Group & Surgeons pride ourselves on providing safe, effective and time-efficient services for our patients. For instance, the majority of patients spend less than two hours from check in to check out. All your post-operative visits are covered at no charge and the surgeon is on call 24 hours a day if you have any questions or concerns. For more information on cataract surgery in Griffin, GA through the Takle Eye Group & Surgeons, call Debbie, our surgical coordinator. She can be reached at (770) 228-3836. Below is an excellent video on some of the options we offer at the Takle Eye Group & Surgeons.